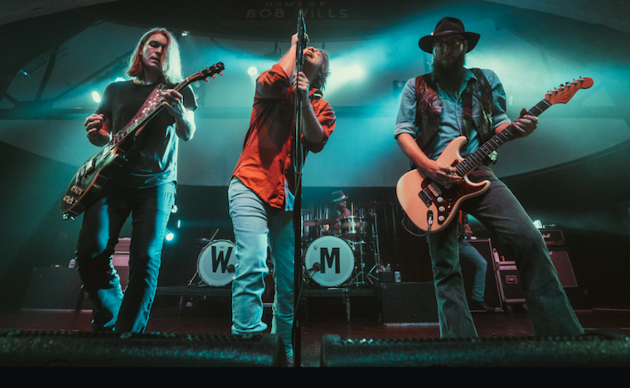 Something is going on with Whiskey Myers. 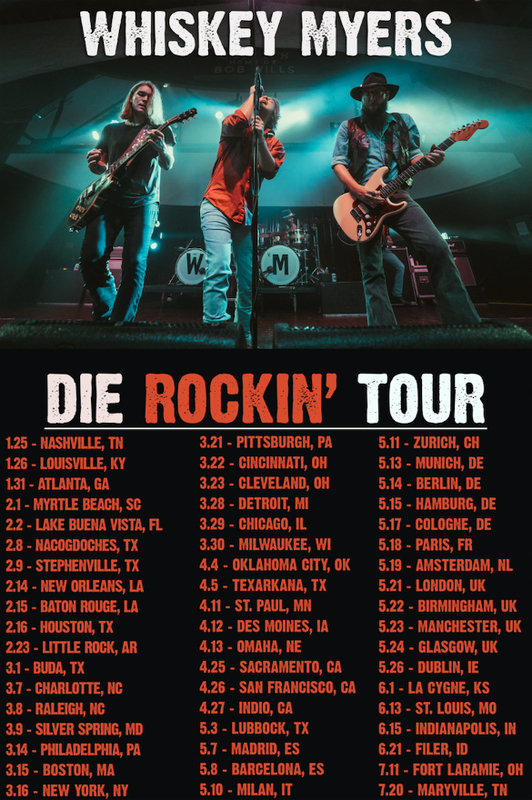 Most bands 10 years in the game don’t get a massive boost in name recognition, but that’s what is happening with the Texas-based Southern rock band. Their big appearance in the Paramount series Yellowstone has really put a jolt behind the band, and they’ve sold out more than 115 headlining shows here recently. They’ll be selling out more as they’ve just announced an additional 38 tour dates in the United States, and 15 in Europe for the new year. Upcoming tour dates include an appearance at the Stagecoach Festival in California in April, Cotton Fest in Lubbock in May, as well as the Tumbleweed Festival in June. Most tickets went on sale November 16th, and many shows will sell out. Cody Cannon will also play a few solo acoustic shows in Texas in mid December. Also when the Yellowstone episode they appeared in aired, the band revealed they were in the studio recording a new album—a follow up to the Dave Cobb-produced Mud. Expect to hear more news about that in 2019. The most overrated Southern Rock band right behind Molly Hatchet. No memorable hooks or impressive musicianship to speak of….just meh. They’re a solid band and put on a good show. But, I’ve never heard anything that really stood out for my tastes. It might just be the Texas influence though. I’m from the Alabama/Florida border, so I’m a bit pickier with my southern rock. Got to be swampy and it HAS to boogie. Just my two cents. I rank them alongside Blackberry Smoke as the best southern rock band out there just now. Excellent band. Good on tape. Great live. In all sincerity I’d be mightily grateful if someone could explain to me why all the fuss about this band? Or maybe why, despite the fact that I completely trust my taste in music as it has served me very wellover the past 61 years, I utterly baffled when I see the intense fandom cuz I just got nothin’. I have gone to great lengths to give them every chance possible but I still find myself bereft of any clue. Clearly I am missing something so I anyone can fill me in that’d be great. They headlined a festival I went to and after 2 songs I headed to my car. As I was pulling out I saw a guy walking to his car and stopped to tell him I was glad I wasn’t the only one. He said that to him, they sounded like they were trying to be Kid Rock. Ouch! Saw them friday night and they were okay, I was kinda bummed out. I’m hoping it was an off night. Was at Ramkat 1100 fans, Incredible performance! Not the same band without the keyboard/sax/steel guitar player. Seen them multiple times with and without the said member, and the sound is significantly different and not as “full”. Seen them three times now. Always an awesome show! They announced that each show ticket will also include their new album as well. That trend is becoming more and more popular. Nice, they’re playing Whelan’s in 6 months! Great venue in the Dubs. I saw them last month in concert and they were fantastic. Going to see them again in February. Here’s a link to a live show from a couple of years ago, filmed professionally. Cody Cannon can sing with the best of them. Was really excited to see them when they opened for Blackberry smoke. As usual at the House of Blues in Cleveland Ohio, The sound setup for the opener was horrible! They came back a few months later but it was in a smaller room at the HOB on a school night so I didn’t go. Kind of looking forward to seeing them as a headliner. I do like their music. Although it’s been awhile since they’ve released anything new. Vocals and guitar really stand out for me. Could be louder and maybe a little flashier, but it’s honest and from the heart, that’s what the buzz is about. Saw them last month, going to see them again in August, that probably says enough.